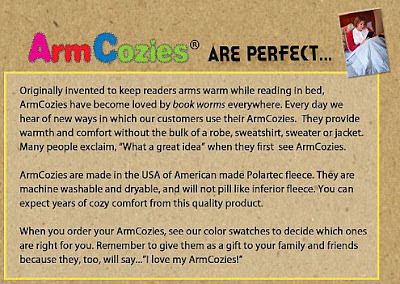 I received free Arm Cozies in exchange for my honest review. First of all, let me say that I'm confined to a wheelchair and jackets tend to be rather bulky for me, when all I want are warm arms. 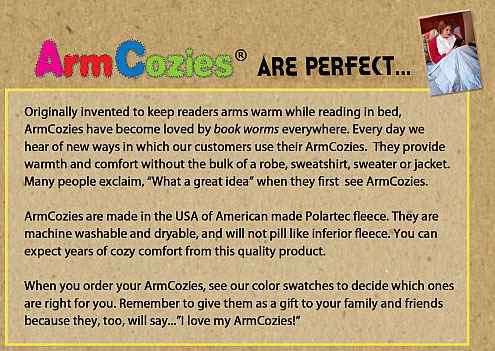 I love my Arm Cozies! 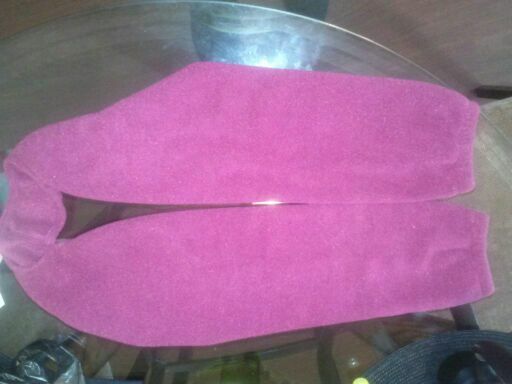 They're great for staying warm while reading or sitting at the computer. I'm really using it quite a bit right now, since the temperature has dropped. 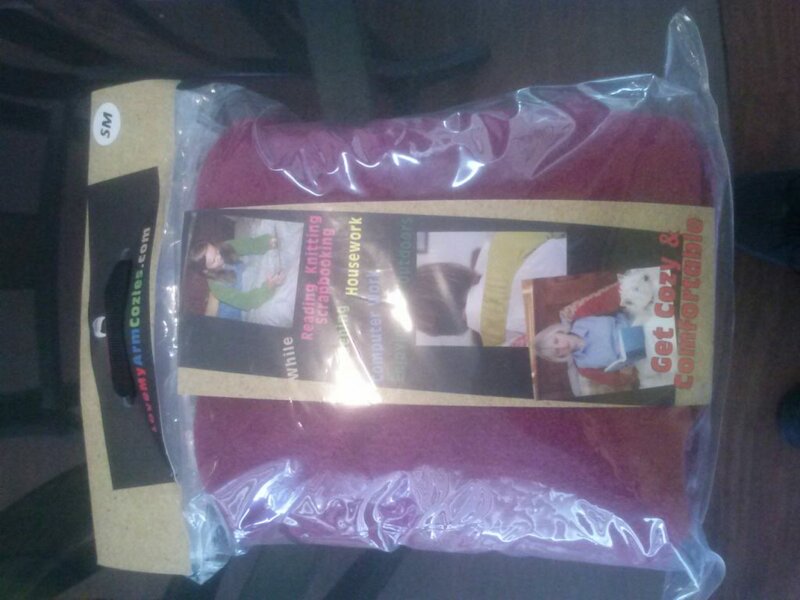 This would be a great gift for anyone!